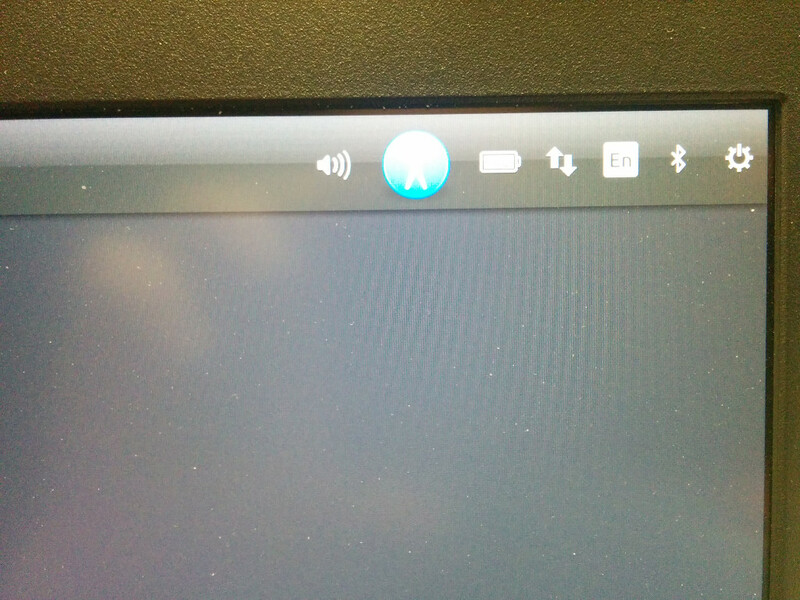 During install and oem-firstboot, the header bar at the top of the screen in Ubiquity is twice as tall as it should be on hidpi screens (looking like two normal sized header bars stacked on top of each other), and the blue a11y icon is double sized. Users of the Dell XPS 13 are affected as well as users of other brands of laptops with hidpi screens. System76 is temporarily carrying a patched version of Humanity to work around this bug. The a11y icon is double-sized because the version of Humanity shipping in Ubuntu doesn't support @2 hidpi scaling, which results in the header bar doubling its height. Because the header bar is drawn with CAIRO_PAD_REPEAT, the gradient is repeated so it looks like two bars stacked one on top of the other. The fix to the Humanity icon theme adds @2 hidpi support, which shrinks the icon and restores the header bar to its normal height. 1. Grab an Ubuntu iso and proceed to install (not "try") Ubuntu on a computer with a hidpi screen. 2. Note the double-sized header and icon during install. - Using an iso with a fixed version of Humanity, the header and icon should look normal. 1. 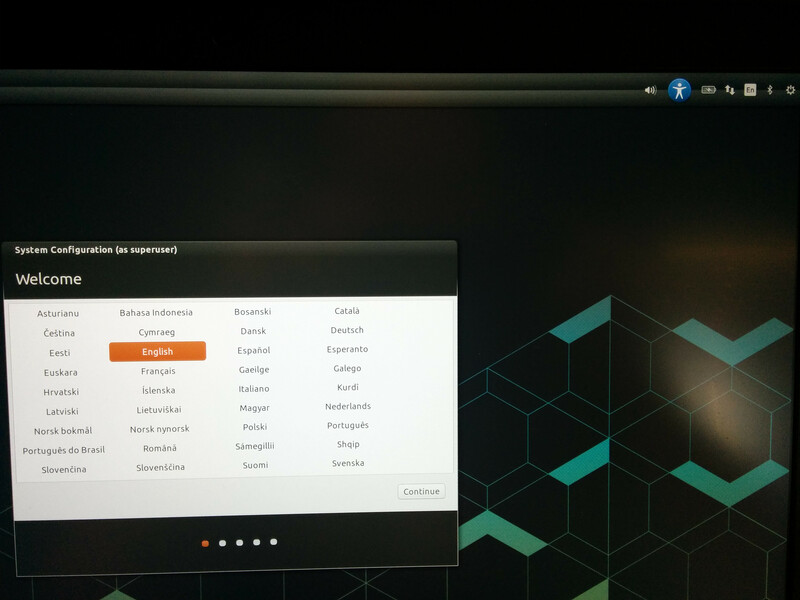 Grab an Ubuntu iso and do an oem-install on on a computer with a hidpi screen. 2. After installing, click the launcher icon to "Prepare for shipping to the end user" and reboot. 3. During oem-firstboot, note the double-sized header and icon during install. - To test the fix, install a fixed version of humanity before preparing the system for the end user. This patch affects the look of anything using the Humanity icon set. The look of Nautilus, and many other GTK apps will be affected. This is not a regression but fixes another bug and resolves a discrepancy between rendering of icons on hidpi screens vs lowdpi screens. The biggest risk for regression comes from the off chance that there is an error or omission in the index.theme files. Comparing icons on a broad range of applications and systems should catch this class of issues. If any issues with icons are found, check there. I can't confirm in virtualbox here on a lowdpi screen, might be hidpi specific? I can confirm on Dell XPS 15 with UHD screen. This would be really nice to get fixed, both for oems and for users with hidpi laptops. I tested Mathieu's patch (relavant portion attached here), and it definitely provides an improvement, but doesn't fully fix the bug. Instead of repeating, the bottom half of the panel is dark and flat. Her is what the above changes do on a hidpi screen. So, I've been working on adding hidpi support in the Humanity icon theme today, and noticed that the blue accessibility icon looks like one of the icons in Humanity. After installing my updated Humanity icon (with @2x support added) the blue accessibility icon is the correct size, and the panel is no longer double height. The icon was simply too big and the panel was resizing to match, so updating humanity to support @2x icons should fix the incorrect panel height. However, Matheiu's code does improve the appearance of the bottom pixels of the panel. Previously, there was a small band at the bottom of the panel that repeated the much lighter shade of the top of the panel. With the patch, that band uses the darker color immediately above. You can see the difference in the attached image (with the @2x humanity theme in both cases). The attachment "cairo_extend_pad-snippet.patch" seems to be a patch. If it isn't, please remove the "patch" flag from the attachment, remove the "patch" tag, and if you are a member of the ~ubuntu-reviewers, unsubscribe the team. Accepted humanity-icon-theme into xenial-proposed. The package will build now and be available at https://launchpad.net/ubuntu/+source/humanity-icon-theme/0.6.10.1 in a few hours, and then in the -proposed repository. Accepted humanity-icon-theme into yakkety-proposed. The package will build now and be available at https://launchpad.net/ubuntu/+source/humanity-icon-theme/0.6.11.1 in a few hours, and then in the -proposed repository. Did some quick testing with the 0.6.11.1 package in -proposed, and can verify that it fixes this bug. Did some quick testing with the 0.6.10.1 package in -proposed, and can verify that it fixes this bug. I installed Xenial daily, completed an oem-setup, installed humanity-icon-theme 0.6.10.1 and prepared the system. I confirm that the double header in oem-firstboot is fixed. * Set Vcs-Bzr for xenial. The verification of the Stable Release Update for humanity-icon-theme has completed successfully and the package has now been released to -updates. Subsequently, the Ubuntu Stable Release Updates Team is being unsubscribed and will not receive messages about this bug report. In the event that you encounter a regression using the package from -updates please report a new bug using ubuntu-bug and tag the bug report regression-update so we can easily find any regressions. Since it's reportedly fixed just by modifying the icon theme in SRUs, let's not introduce changes to ubiquity now. For yakkety; this is Won't Fix: we're not doing point-releases, so even if it was available, it would not benefit many installs (given that ubiquity would need to be on the ISO for the changes to apply to direct installs (rather than live)). For xenial, I'm applying the changes to the bzr branch for the next ubiquity upload. Accepted ubiquity into xenial-proposed. The package will build now and be available at https://launchpad.net/ubuntu/+source/ubiquity/2.21.63.4 in a few hours, and then in the -proposed repository.